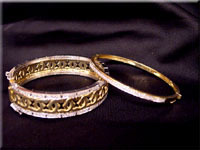 Bracelets 18kt white and yellow with diamonds. 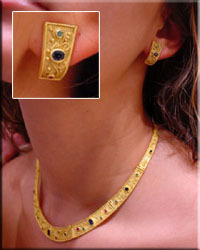 Byzantine necklace and earrings with colored presious stones. 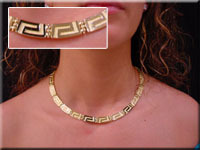 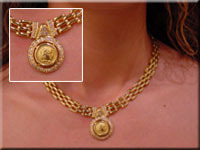 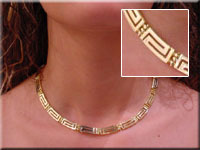 Necklace 18kt with Alexander the Great and diamonds (ct 1,20). 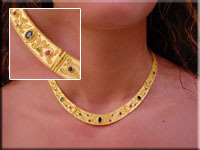 Byzantine necklace with colored presious stones. 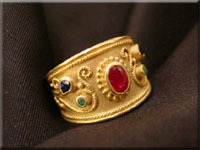 Byzantine ring with colored precious stones.